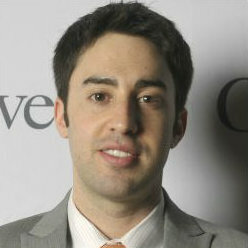 Michael Bamberger is the co-founder of Alpha UX, a real-time user insight and research platform for large enterprises. Prior to creating Alpha UX, Michael served as vice president of Greenhaven Partners, a private equity firm where he executed comprehensive business strategies across a portfolio of companies. BusinessInterviews.com: Tell us more about Alpha UX. What are its main goals, and how does it achieve those goals? Michael: Alpha UX brings real-time user insights to product teams, enabling them to build more successful products. Most companies struggle to get meaningful feedback from users throughout the product development process. This often leads to failed products, wasted time and effort, and a lot of internal issues. We make rapid user research accessible for organizations so they can navigate around the issues that slow them down. We offer monthly access to our testing platform, which enables product teams to run rapid user experiments or tap into their database of organizational research to generate user insights. BusinessInterviews.com: What do you think is the biggest problem for product managers and developers right now, and what solutions do you have for this problem? Michael: Our clients are product managers in large global organizations. The most common issues they deal with involve communication, bureaucracy, and decision-making. Putting user research at the center of product development creates a framework that all stakeholders can support. Adopting a research mindset turns opinions into experiments and failures into lessons. Enabling real-time user insights truly transforms the way product teams work. BusinessInterviews.com: How is Alpha UX breaking down barriers in product development? Michael: Decision-making is typically an immense internal challenge. What features should we build? How should the user experience be designed? What messaging attracts target users most successfully? These questions are difficult to answer, but they impact the direction of a product in a big way. We make answering these questions a mouse click away. BusinessInterviews.com: Your platform rapidly generates customer feedback for digital product concepts. Can you tell us about this process and how it benefits your clients? Michael: The key is putting the user at the center of the decision-making process. We start by defining hypotheses and key questions that represent the user insights our clients want to generate. If the questions haven’t already been answered in their research database, we’ll build new rapid user tests. These typically consist of remote and in-person user testing sessions, online surveys, simulated prototype development, and concept split-testing. New tests are turned around in just a few days — most within 24 hours. BusinessInterviews.com: Where do you see your company in the next five years? Michael: Our goal is to transform the way companies build products. We want to bring user insight to the center of decisions across the company. We’ve had tremendous success enabling large global organizations to bring user insights to the core of their product development. We’d like to eventually make our platform and tools accessible to companies of all sizes and really transform product development into an exercise of understanding users. BusinessInterviews.com: Some companies continuously produce great new products. Based on your experience, what are some tips to have product development success? Michael: Companies that move quickly, take risks, and constantly experiment have a distinct advantage over those that don’t. A research and experimentation mindset not only yields products with a higher probability of success, but also helps build consensus internally and allows product teams to move faster. This helps you stay ahead of the competition and keeps you aligned with your target market to ensure your product is succeeding. If product teams can buy into these concepts, they’ll have a much better experience building, launching, and improving their products.